POLITICS in Spain has fallen to a new low – and the gloves are off. Whether it’s fabrication, secret recordings or character assassination, the good old days of politicians simply syphoning off a few million euros have been overtaken by the far-more intriguing use of slander, lies and half-truths. The goal, at least from the Partido Popular (PP) and Ciudadanos, is to see the end of the ‘Okupa’ (or the ‘Squatter’ as Prime Minister Pedro Sánchez is frequently referred to after he won a vote of no confidence against Mariano Rajoy’s corrupt government in June). But it all started with the tearful resignation of a high-ranking regional president back in April. That was Cristina Cifuentes, president of Madrid province, who was found to have fudged her Master’s degree. Despite public outcry, not much happened as a result, since Cifuentes, being a politician, had ‘immunity’, and besides, her party, the PP, didn’t see it as anything of special importance. While the debate raged, with numerous calls for her resignation, she only resigned four months later when a news site published a copy of an unrelated video showing her stealing two tubs of Olay anti-wrinkle cream from Eroski supermarket. 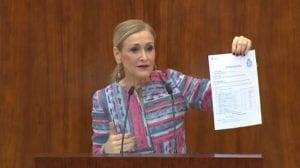 Cifuentes had obtained her Master’s from the University of Rey Juan Carlos (URJC), in Madrid, and it gradually became clear that she was only one of a group of politicians (and, one can assume, captains of industry) who had earned themselves their titles without the formality of having properly studied for them. The first name that came up was one of the leading candidates to take over the PP from Mariano Rajoy following his departure from politics in June. 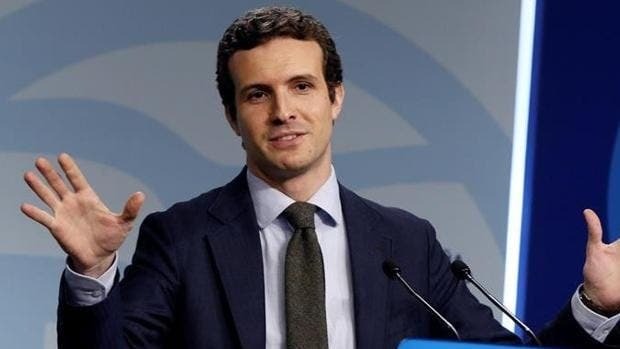 Finally triumphant from an embittered congress in July, Pablo Casado took over the leadership of the PP, and he publicly made light of his improper Master’s degree from the URJC. Again, he had immunity, as he pointed out, and his supporters frankly didn’t care what he might have written on his resume. Meanwhile, as the PP congratulated itself on its handsome, new leader, a man supported by José María Aznar (and reputedly an Opus Dei member), the ruling PSOE in its minority, with just 85 seats out of 350, were indeed in choppy waters. They began by approving the PP’s previously presented national budget for 2019 without any changes, but the PP and Ciudadanos announced that they were now fully against them and, with the PP senate majority, refused passage. Obfuscation? Even the American Republicans would have been impressed. Sánchez and his Socialist government are having a hard time. His enemies want his head, the media is against him, and his allies have their own agenda… even his strongest ally, the hard-to-please Pablo Iglesias and his Podemos group. Within a couple of months of the PSOE taking over the running of the country this summer with its record number of female ministers ( 11 out of 17), one of them, the Minister of Health Carmen Montón, was found to have also been a recipient of the URJC’s curious policy regarding titles. And in an honourable breakaway from the example set by the PP, she quickly resigned. Encouraged by this, the PP leader Pablo Casado attempted to show that Pedro Sánchez also had a dodgy masters (from another, rather more reputable university), and when that proved false, he tried a different tact. To claim that Sanchez had improperly copied some text – ie. plagiarised – from another source in a book he had written. The conservative press (and that is almost all of the daily newspaper, bar El Pais) pumped the story for all it was worth. Then it came out that the leader of Ciudadanos – he’s called Albert Rivera – was quietly changing his own profile regarding his titles. “I’m still studying for my Master’s,” he explained. The only political leader who seemed safe from this witch-hunt being the annoying fellow with the ponytail, Pablo Iglesias, the leader of Podemos, because his other job is a university don. So he doesn’t need to acquire a masters! 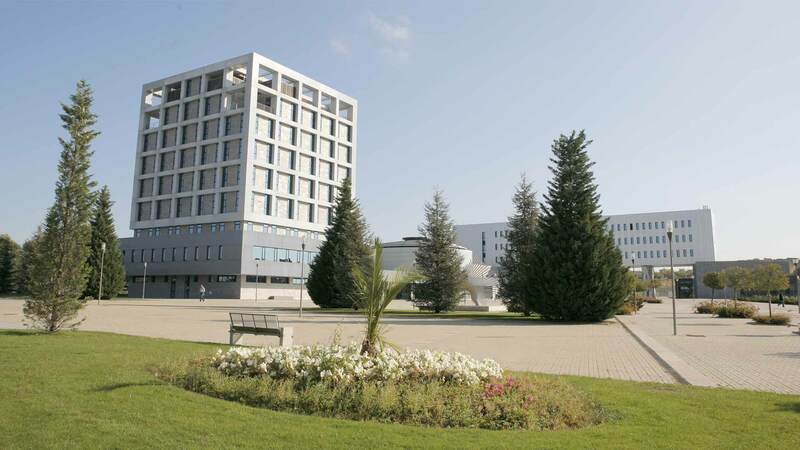 The URJC, by now looking a bit tawdry, was then found by investigative journalists (treasure them, there aren’t many left) to have sold titles to 500 Italian engineers for the modest price of €11,000 a pop. An internal investigation is currently underway at the university. Did anyone mention the bridge that collapsed in Italy this summer. The one in Genoa, where 43 people died? Watch this space. The right-wing press is now attempting to smear two other PSOE ministers – Pedro Duque, the popular Minister for Science and Innovation (he was Spain’s first astronaut), accused of holding property in a company name (while not illegal, around 20 other deputies do the same) and Dolores Delgado, the Minister for Justice, over a dinner-conversation from nine years ago which the ex-judge Baltazar Garzón described as ‘…a despicable campaign with a conversation used out of context’. One thing she is heard to say on the recording is worrying a few senior judges about their behaviour on a trip to Colombia in connection with some minors they picked up there. The recordings – there will be others – come from an ex-police commissioner and semi-private investigator called José Manuel Villarejo, who is now in jail (as an untried prisoner where he threatens ‘to reveal all’). He puts his (revenge) material on a political site he is in some way tied to called moncloa.com. 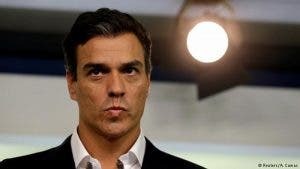 Pedro Sanchez replied to the accusations by saying ‘the words of a corrupt person will not decide the political agenda’. Villarejo promises fresh revelations. Indeed, the pressure from the media on the PSOE is currently so acute, Carmen Calvo, the Vice-president (and something of a socialist dinosaur) has suggested that the freedom of expression enjoyed by the media should be regulated. 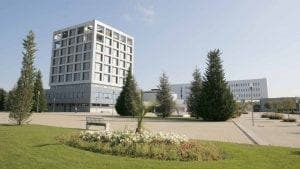 The PP leader Pablo Casado himself was meanwhile threatened with a probe by the Supreme Court regarding his university distinctions, but last week that was suddenly dropped. No surprise perhaps, with four of the five judges on the Supreme Court placed there by the last PP government. Casado, we hear, and to the palpable relief of the conservatives, has no case to answer. Nevertheless, and despite support from every newspaper from El País sideways, Casado is quickly slipping into a difficult position regarding his reputation among the general public. The opinion polls – where ordinary people are asked their views – are ‘buoyant’ for the PSOE at 30%, ten points over the second runner, the PP. In all, the question becomes – can Pedro Sánchez with his minority Government continue until 2020 as he hopes… or will there be fresh elections by Christmas? If there are, as Podemos’ Pablo Iglesias says, things won’t be much easier afterwards as the days of a single-party majority have passed. And perhaps we should listen to him, as he’s currently the only Spanish leader with a genuine master’s degree.